← Operation Spud (now with added Beer)! When I was a teenager I had a very memorable dream, possibly because for once it didn’t feature Samantha Fox or Elle McPherson, or a combination thereof. Instead I dreamed of women ‘tradesmen’ happily toiling alongside the men in the refinery I was employed at. Back then, women were either secretaries, cleaners or tea ladies, and sightings were extremely rare. But the next morning, when I brightly announced to the old tradesmen who were training me, “I reckon we’ll see women tradies one day,” all hell broke loose. Anyway, word quickly spread and tradesmen came from far and wide to tell me how wrong I was, and why. Apparently women were too weak, too emotional, always having babies, won’t like getting dirty and we’ll spend all day helping them. It will never, ever, happen. Sadly neither of them voiced these facts too loudly lest they became the next target. 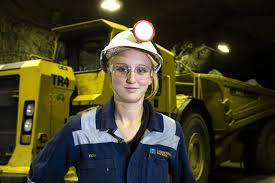 Eventually most of those old blokes lived to see women tradies working in the refinery, and today it’s perfectly normal to see girls mixing it with the boys in factories, on building sites, and in every other trade or profession. It’s no longer the stuff of dreams, women can do pretty much any job men do; well, except be Pope or host Family Feud. This entry was posted in On a Lighter Note... and tagged Elle McPherson, Samantha Fox, women. Bookmark the permalink.